Tomorrow is April 1st....Can you believe that? And even though Sale-a-Bration ends today... Stampin' Up is starting a new promotion tomorrow! 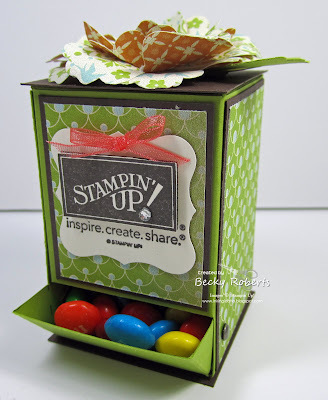 For the entire month of April Stampin' Up! will offer customers a chance to pre-order products from the Summer Smooches Collection. 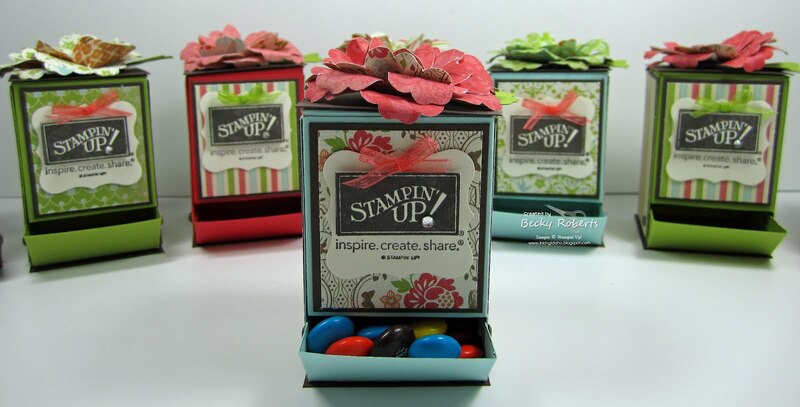 No need to wait until they are available in the Stampin' Up! 2012-2013 Catalog (which sremember tarts June 1st). SUMMER SMOOCHES CUSTOMER PRE-ORDER STARTS APRIL 1! And here's a Sneak Peek for you today from Gretchen Barron -- it's the brand new Stamp Set and Designer Series Paper that will be available to customers beginning April 1st! 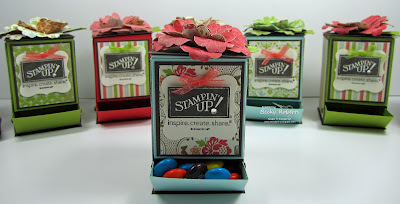 The Bright Blossoms Stamp Set and Summer Smooches Designer Series Paper will be available in the new catalog (released June 1st) but Stampin' Up! is making them available to customers beginning April 1st. How cool is that! The bright, cheery paper is perfect for spring and summertime projects and cards! Another Sneak Peek on this card is the absolutely beautiful Daffodil Delight Seam Binding Ribbon! It is GORGEOUS! 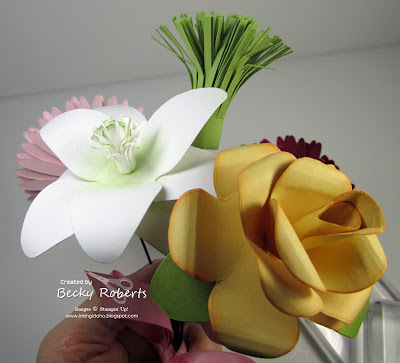 She used the colors of Lucky Limeaide, Daffodil Delight, Pacific Point and Whisper White for her card. The sentiment is from the Pursuit of Happiness Stamp Set. 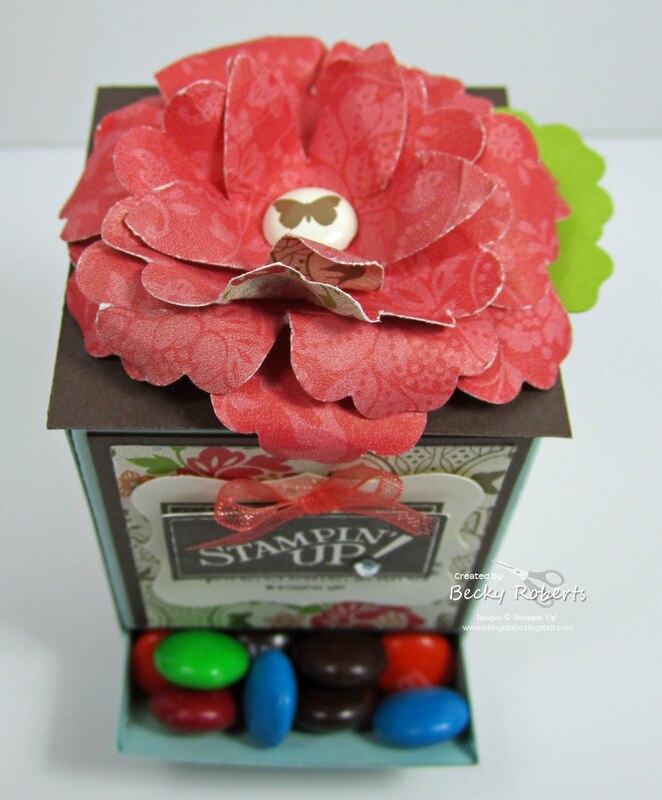 Additional embellishments and tools used include the Scallop Border Punch, Butterfly Punch, Stampin' Dimensionals, Basic Rhinestones and Stampin' Write Markers (color directly on the rubber to stamp the whimsical flower images). Layer One -- Cardstock cut at 5.5 x 8.5, scored and folded to make the Card Base. Layer Two -- DSP cut at 4 x 5.25"
Layer Three -- DSP cut at 1.5 x 2" (add a narrow strip to the bottom that has been finished with a Border Punch). Add ribbon. Layer Four -- Lucky Limeaide Cardstock cut at 1.5 x 3.25"
Layer Five -- Whisper White cut at 1.25 x 3"
Layer Six -- Pacific Point Cardstock cut at 2.5" square. Layer Seven -- Whisper White Cardstock cut at 2.25" square. Embellish with a bow, punched butterflies and Rhinestone Brads. For those of you who are coming to my April 21st Stamp-a-Stack..... yep... that's right... you're gonna be making this card for sure! Be at the Reed Ranch or you'll miss out! We're on countdown now.... only 24 hours to go before 2012 Sale-a-Bration ends at Stampin' Up! So don't wait another minute.... place your $50 order if you want to qualify for FREE merchandise!!! Here's some more samples of the cards and projects you can make with the Designer Series Paper, or ribbon or brads or stamps... all FREE! Call me... Text me.... eMail me.... just do it now!!! Hey I forgot to share the awesome Door Prize I won at Pam's..... she makes sure everyone wins a pack of cards.... just too cute... of course I picked the purple tea cup set... love it love it love it!! I'll not be giving these away any time soon! Had a fantastic time at Pam's SAS last Saturday... thanks Pam for the wonderful day filled with fun, friends and fantastic cards!!! I even finished them all this time.... woo hoo!!! goodness those lemon bars were to die for!!! Sixteen years ago to day the world received a very special gift from God... Noah Banner entered our lives and it's one of the best blessings ever! Noah I love you so much and am amazed as I've watched the young man you've become... full of passion and conviction for God, bursting with love for your family and friends, and overflowing with eagerness and excitement for the days to come... I can't wait to see what God has planned for you... Have a blast celebrating life! They almost look real, don't they? The rose shown here in So Saffron and in the vase, Pink Pirouette. 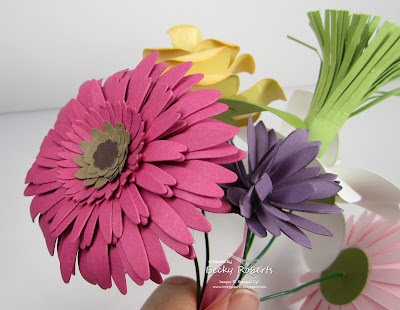 Tomorrow I'll give you the tutorial on how to make the paper rose. She used the Island Floral die-cut. This is a regular daisy and shown here in Pink Pirouette and the vase in So Saffron. She used the Daisies #2 die-cut. This one is my favorite!! Shown above in Rose Red and in the vase in Whisper White. 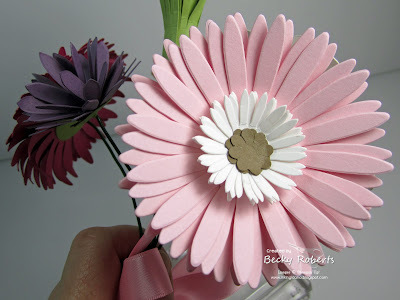 Again she used the Daisies #2 die-cut. The Perfect Plum was so made using the Blossom Party die-cut. Cut 5 of them, fold 4 of them in half and half again and glue them all to the center of the flower that you did not fold. When dry, fluff them up with your fingers. 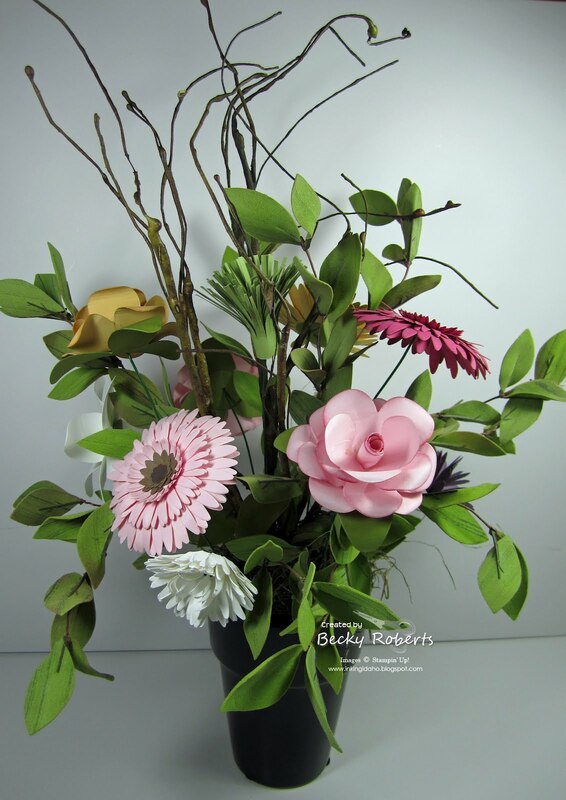 Pretty cool for a nice Spring bouquet! Everyone needs a little chocolate, right? 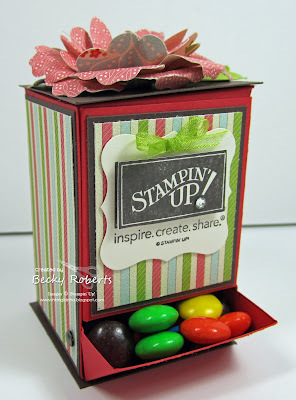 Becky Roberts found the pattern for these darling little candy dispensers HERE so you can order pdf template from the Digchick! They are pretty tiny, only about 2-3/4" tall so I'm guessing each one will take about 1 cup of M&M's. Still loving the Sale-a-bration paper, Everyday Enchantment!! I'm not ready fro it to leave! Only 6 days left to place your $50 order to get a free product. 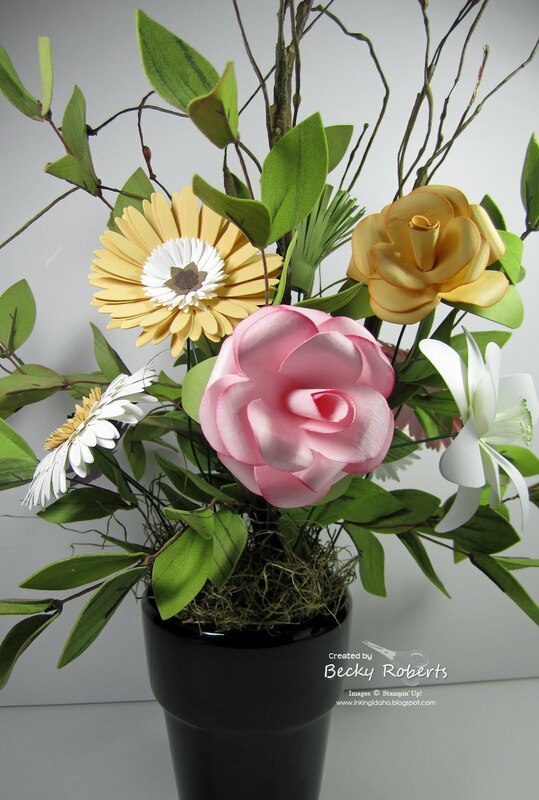 The Designer Series Paper and the Brad & Ribbon pack on these projects are both free choices! What did ya think it was gonna be????? I've been thinking a lot about the phrase, "The grass is always greener on the other side." Wow. I feel like I've really been able to understand that idea a lot deeper lately. I have come to see how easy it is to rob ourselves of true happiness. We look for it all over. We become convinced that it's just ahead. We watch TV and see that it's found in money or a perfect body or something else that's just out of our grasp. We get on blogs and start feeling like maybe we got the short end of the stick. We plan vacations, dreaming of a perfect week where everything will be flawless. We decide that when we get that new car or get that promotion or get that opportunity or get a raise or get through this week that joy will pour down from the heavens. Well, I'm sorry to say it but I have come to believe that 99% of things in life are overrated. While that sounds pessimistic, it's not. Stay with me here. While I've never been drunk in my life I'm pretty darn sure it's overrated. I bet if you could really talk with someone famous, that they would tell you it's overrated. Is it possible that our fantasies are actually keeping us from happiness? I think the biggest secret of all is simply that happiness is already in our hands. Do you know what's completely underrated? NOW. This moment. This very moment. Every little moment. Because when I stop to really think and breathe, I can get emotional about how amazing it all is. You know what? The grass is pretty green right here. It's beautiful. And if I keep wishing I just might miss it. I might miss those moments when Brayden's around and runs up to us for a hug. I might miss the fact that my husband and I got to watch a movie last night on the couch and that the roof doesn't leak when it rains. I might forget how lucky we are to be healthy. I might even miss the point of this life. The point of my life. It's quite an enormous gift. All of it. The good and the bad. 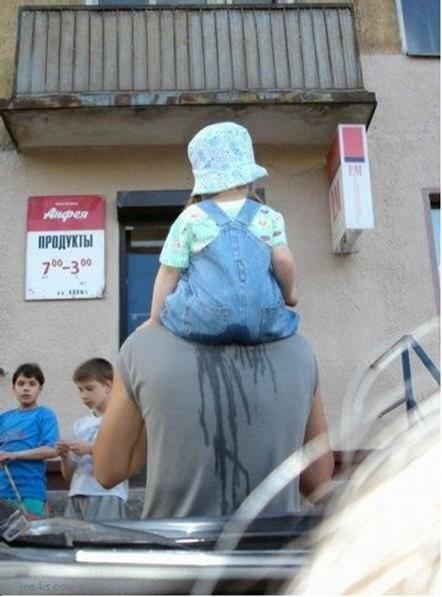 The rain and the sun. And I'm going to try a little harder to thank Him for all of it. Answer: Mt. Everest ; it just wasn't discovered yet. How many of you got 10 out of 10? Hope you had fun at least. 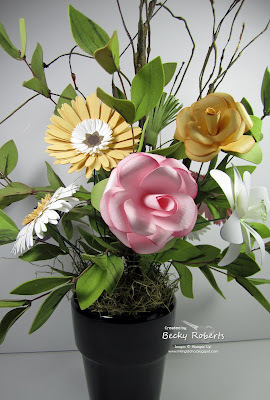 For now, take a look at this... inspired by Ann Schach.. she's used the Trio theme to create this one... good idea! Using Crumb Cake, Pear Pizzazz, Wisteria Wonder and Pool Party... remember if you don't have these colors, you can always substitute something similar.. or go hog wild and create an entirely different look with your own color combos.... imagine that! A Trio of Images! The stamp image is from Fresh Vintage, inked with Pear Pizzazz, Wisteria Wonder and Pool Party and stamped onto Whisper White card stock. They were then punched out using the 1" Punch and mounted onto coordinating card stock squares punched using the Postage Stamp Punch. These were adhered to Crumb Cake card stock and zipped through the Big Shot using the Square Lattice Embossing Folder. Basic Pearls on each stamp provide the perfect accent. A Trio of Sentiments! Sentiments from Loving Thoughts were inked in Early Espresso and stamped onto Naturals Ivory card stock. They were then flagged on one end, while the opposite end was curled and separated into two layers. The bottom layer was flagged and slightly curled for a different look. A Trio of Ribbons! Ribbons do not have to match! Snippets of Pear Pizzazz Seam Binding, Victoria Crochet Lace Trim, and Pool Party 3/8" Ruffled Ribbon add a "pop" of color and texture! all in the hope of INSPIRING you! Remember the old TV game show.. Name That Tune.... where contestants challenge each other to name popular musical tunes in so many seconds?? Well... wouldn't it be fun to do the same with card making... I can make that card in 42 minutes.... wanna see??? The finished dimensions are 4-1/4" wide x 5-1/2" long. Cut a card base from Crumb Cake and zip the front of it through the Big Shot with the Finial Press Textured Impressions Embossing Folder. Tip: For a vintage card, use a vintage pattern. Using a Brayer, lightly roll Crumb Cake ink over the embossing. Using a Sponge Dauber, distress the edges with Crumb Cake. Tip: Use tone-on-tone for a more subtle effect. Cut a 2-3/8" wide by 4-3/8" long panel from Everyday Enchantment Designer Series Paper. Mat onto Poppy Parade card stock, leaving 1/16" borders on all sides. Tip: Look for vintage patterns to add instant vintage style to a card quickly! 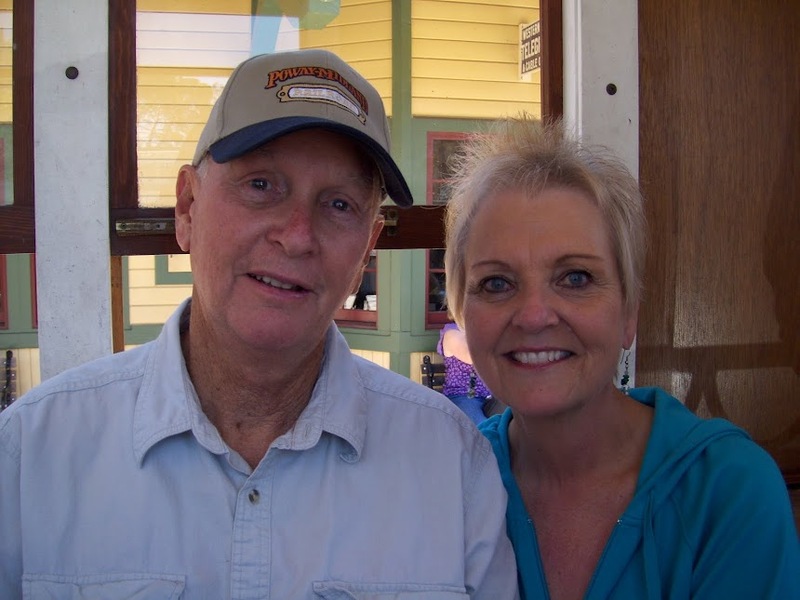 Using Naturals Ivory card stock, cut your image panel at 2-3/4" square. Ink up the image from the Fresh Vintage stamp set using Poppy Parade, Lucky Limeade, and Pool Party Stampin' Write Markers, and stamp onto the image panel. Using the Seven Sided Tool from the Cutter Kit, distress the edges. Shade using Crumb Cake ink and a Sponge Dauber. Mat onto Poppy Parade card stock, leaving 1/16" border on all sides. Tip: Naturals Ivory card stock contains subtle flecks...no need to use the Color Spritzer Tool! 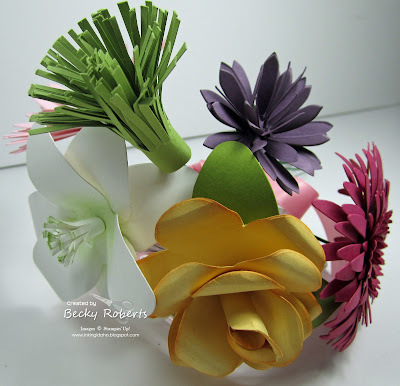 Add a ribbon and bow made from Lucky Limeade and Calypso Coral Ruffled Ribbon. Tip: The Ruffled Ribbon adds vintage flair in seconds! Create a Poppy Parade Butterfly using the Beautiful Wings Embosslit. Add Basic Pearls and spritz with Vanilla Shimmer Smooch Spritz. Assemble your card as shown in the sketch. Add Basic Pearls to the flowers. Just remember...a few touches, like selecting a vintage designer paper and vintage embossing folder...conveys a vintage feel quickly and easily! I Wish I Were Irish!!! Hearts are Always in Season!